A white porcelain coffee cup. 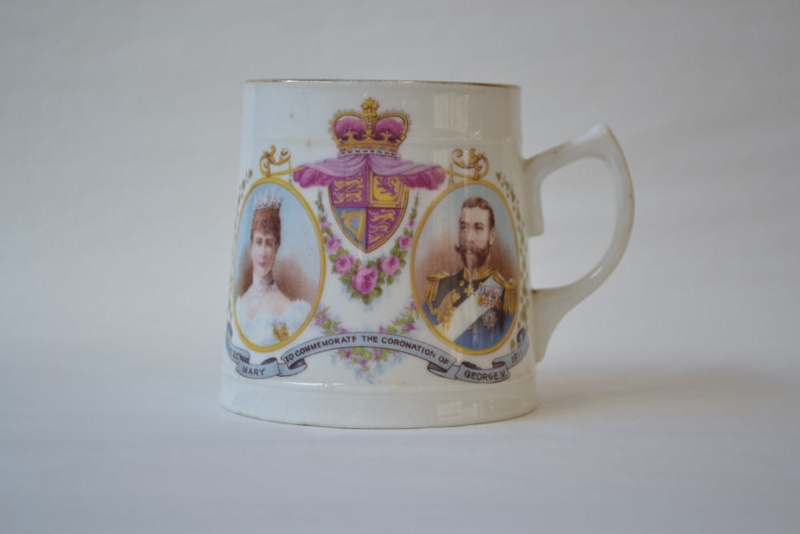 Printed on one side is a transfer print image of King George V and Queen Mary. Between the portraits is the Royal standard and below is: 'June 22 1911 / To commemorate the coronation of Queen Mary and King George V'. On the opposite side is a print of flags and the sentiment 'God Save the King' under the emblem for the Borough of Wallasey. Stamped on the base is: 'T K British Manufacture'.